Harvest Sale and Giving Back! I hope everyone is enjoying a wonderful Thanksgiving holiday! If you're ready to start your holiday shopping, here's a little incentive - now through midnight on Monday, November 29th, you can save 20% on anything you order at Barefoot Books when you use the discount code HARVEST at checkout. AND remember that you will receive FREE SHIPPING on any order over $60! Need some extra incentive? Well, through the month of November, for every purchase you make Barefoot Books will donate one book to First Book - an organization that works to address literacy issues by distributing free and low-cost books to children across the country. What could be better than saving money and doing good at the same time? What are you waiting for? Go shop now! Do you have a child going back to school soon? Here are some great tips at the Barefoot Books website for helping your child have a successful transition to a new or first school year. These tips are from Kathryn White, author of one of Barefoot's new titles - Ruby's School Walk. 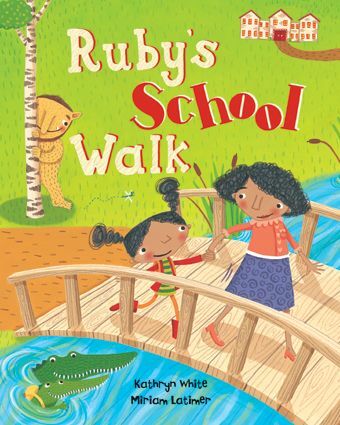 Join Ruby on her way to school and see the world her mom cannot see. In an old house, she spies bats with red eyes peering out and scary witches that flit about. 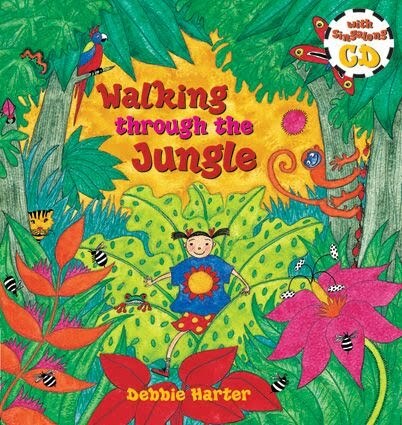 And these aren’t the only dangers on her path: tigers, crocodiles and mighty beasts abound! "I must be brave, I must be strong," chants Ruby as she musters the nerve to scare them off; but will it work? 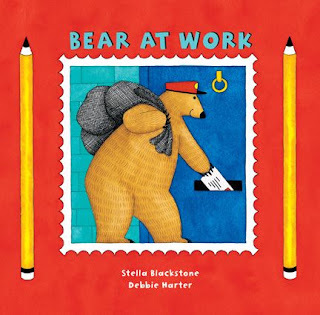 My daughter goes to pre-school all year round because I currently work full time, but she definitely has days when she doesn't want to go to school so this book is on my wish list! Barefoot Books has created a new video from one of their books, this time a new twist on an old classic - Knick Knack Paddy Whack! Sing along with this rollicking take on a traditional tune that introduces instruments and counts from one to ten. There are educational notes about instrument families as well as a simple music score at the end. Book with CD editions include song sung by acclaimed children's performer SteveSongs. 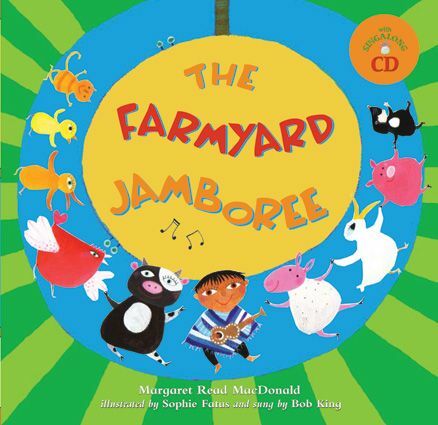 This book has everything we've come to expect from a Barefoot Book - colorful illustrations, a diverse cast of characters, music we love to sing and dance to, and a fun introduction to learning. This is another book that I can see my three-year-old daughter enjoying and benefiting from for years to come; right now she loves the music and the counting, and eventually she will also learn all about the differences between brass, woodwind, stringed, percussion, and keyboard instruments from the educational notes at the end. Who knows, eventually she may even play the song herself on a musical instrument using the music score in the back of the book! The hardcover version of Knick Knack Paddy Whack is available for $16.99 and the paperback version is $9.99 - both come with a CD that contains the song. I know you will love this book as much as we do! 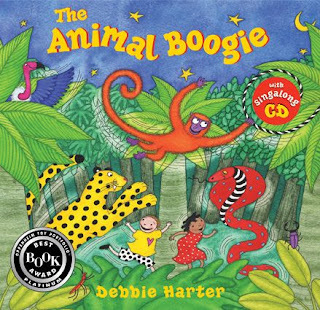 Our favorite Barefoot Books are the ones with sing-a-long CDs - my daughter loves to sing and dance, and every one of these books has an upbeat, infectious tune. Several of our favorites, as well as a few on our wish list, are currently on sale. 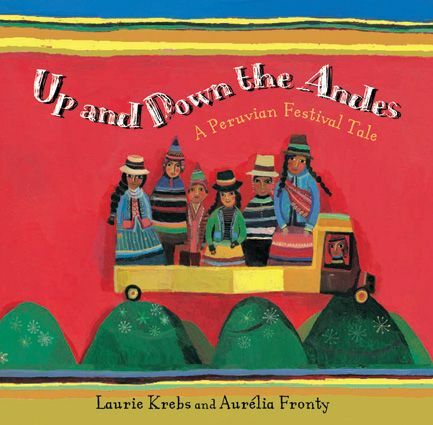 This airborne adventure takes readers ballooning over lands near and far, all the way to the stars. The charming singalong song on the accompanying CD keeps spirits high, while the rhyming and playful text introduces all sorts of settings and vocabulary-building words. 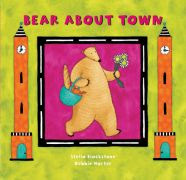 Book with CD edition includes song sung by Susan Reed. So colorful, and so much fun! Hardcover with CD, usually $16.99, now on sale for $11.99! Find out how four children from Mali, Europe, India and China go through their morning routines. 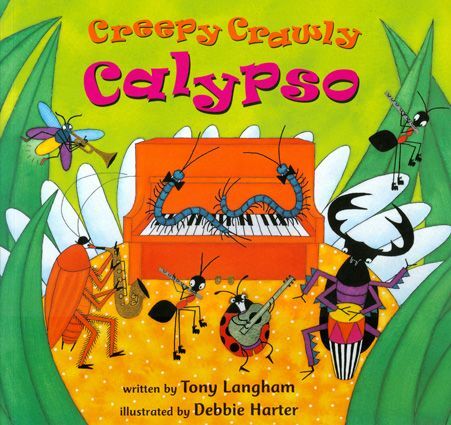 The catchy text encourages creative movement and imagination, while teaching about different ways of life. 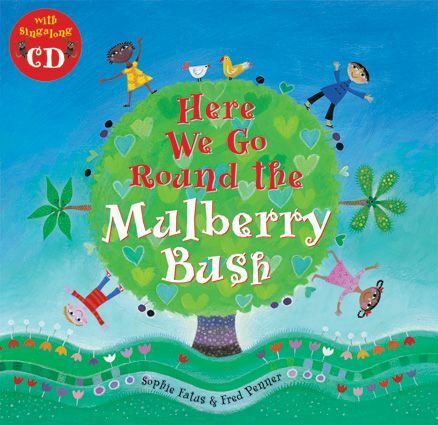 Book with CD editions include song sung by acclaimed children's performer Fred Penner. One of the many Barefoot books that celebrate diversity! Hardcover with CD, usually $16.99, now on sale for $13.99. In this multicultural version of the traditional song, children from cultures all over the world clap their hands, stomp their feet, pat their heads, and much more. The accompanying singalong CD continues the interactive fun! Go here to see a video version. 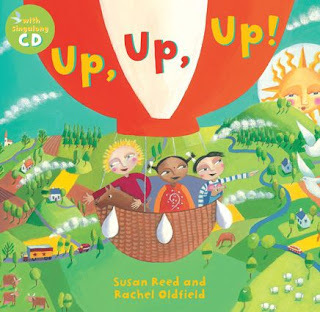 We love the illustrations in this book as much as the catchy tune, and there's even a child from Ethiopia represented! Hardcover with CD, usually $16.99, now on sale for $13.99. Can you boogie? Down in the Indian jungle, the children and animals are learning about actions like leaping, stomping, shaking and flapping while meeting different jungle creatures. 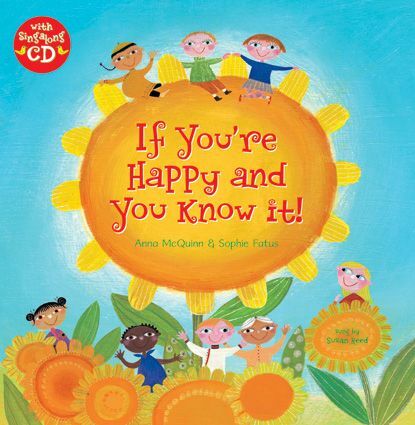 Book with CD editions include song sung by acclaimed children's performer Fred Penner. 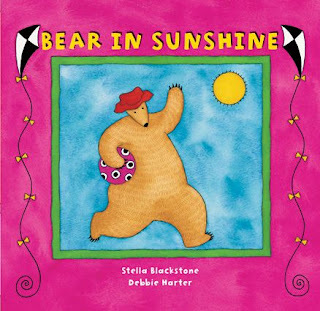 This was one of our very first Barefoot Books, and it's still one of our favorites! Paperback with CD, usually $9.99, now on sale for $7.99. Hardcover with CD, usually $16.99, now on sale for $13.99. 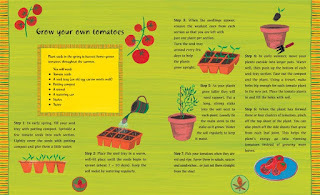 We don't have this book yet, but my daughter loves the video - take a peek! Bear on a Bike - go here to read just how much we enjoy this book - is currently on sale for $5.99. Since that first review, I've also gotten the rest of the Bear books, and they are all just as good as the first! And, most of them are on sale too, for $5.49 each. Bear's Busy Family - Meet the rest of Bear's family and learn about all of their busy activities. Smell, touch, taste and sound are all familiarized in this rhyming text, and there is a full spread family tree at the end. 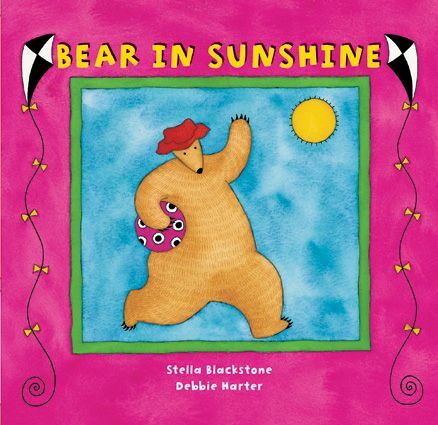 Bear in Sunshine - Enjoy the seasons with Bear, as he partakes in a different activity for each kind of weather. 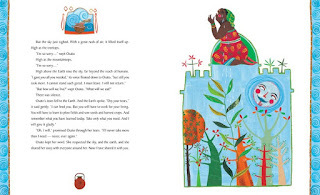 The rhyme and humor of the text help to introduce the concepts, and a two-page spread of the four seasons offers a recap at the end. 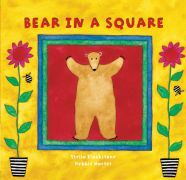 Bear in a Square - Discover lots of different shapes with Bear — there are triangles on the waves, diamonds on the crown and stars in the sky. 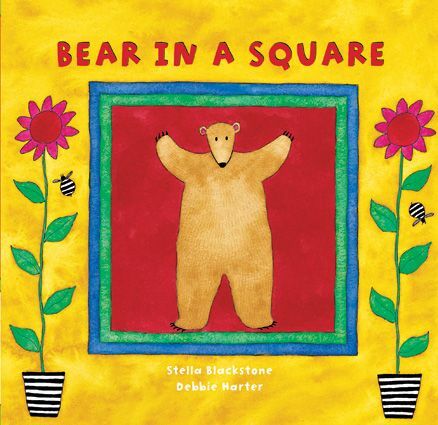 Rhyme, repetition and counting establish this book of shapes, and a two-page spread recapping the shapes and colors reinforces the educational building blocks. 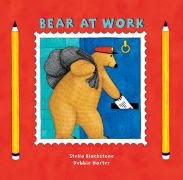 Bear at Work - Head off to work with Bear as he delivers mail and learns about other professions. 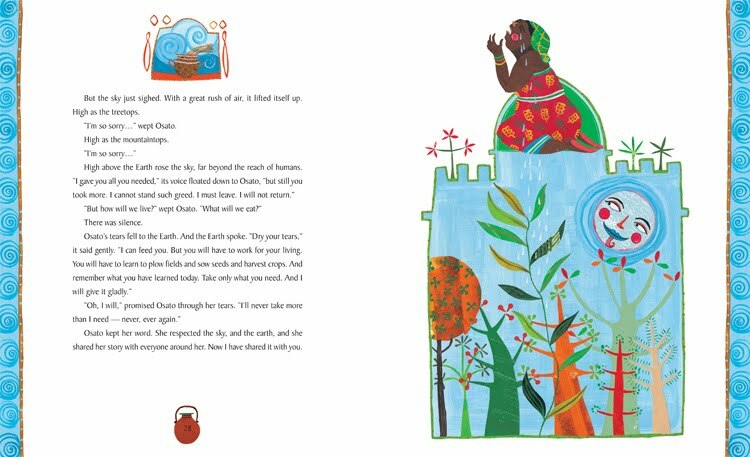 Rhythm and rhyme drive the clever text, and a full-spread illustration of the professions at the end reinforces the learning and invites readers to go back through the story to spot the different working bears. If you haven't met Bear yet, what are you waiting for? The sale ends August 1st! "Join the caravan for an exciting yearlong trek along China's ancient Silk Road. 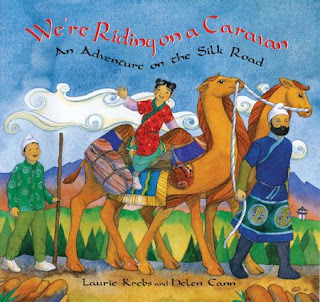 Following the rhyming, treasure-filled story are informational endnotes about the history of the Silk Road, the story of silk, important cities of China, and a full-spread map." We're Riding on a Caravan was part of our nightly bed-time book routine for about two weeks straight after we got it. My daughter has many friends at pre-school who have immigrated here from China with their families, so she enjoyed learning more about part of their history and culture. There is also a bi-weekly market day in the largest town of the region she is from in Ethiopia, which draws people from all over the area to buy and sell. And, I take her with me when I sell my artwork at the local weekly Farmers' Market - so there were a surprising number of connections to her real life in this book about ancient China! The illustrations in this book are simply gorgeous and so full of details. We spend lots of time on each page just picking out the different things to see and talking about what they mean. My daughter is extremely observant, and I had to explain to her that the sheep she saw on one page but not on the next probably got eaten for dinner by the traveling family! 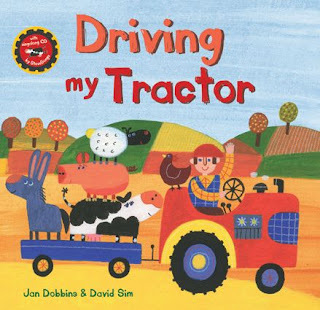 The story is told in rhymes, which really helps to keep a child's interest. There's also a repeating refrain on each page - "We're riding on a caravan, a bumpy, humpy caravan, We're riding on a caravan to places far away" - which my daughter has learned to say with me. At the end of the story is a map, which I do look at with my daughter to show her how far the caravan traveled. There is also information about how silk was discovered, the history of the Silk Road, and a little bit about each place mentioned in the story. These parts are a little beyond my daughter's comprehension right now, but I will definitely read them to her when she is a little older. All in all, We're Riding on a Caravan is a book that I'm sure we will come back to again and again as my daughter gets older. 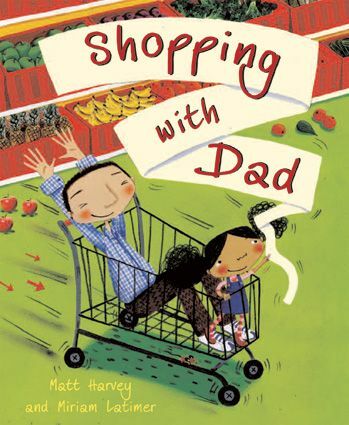 The paperback version is currently on sale for $6.49 - an amazing price when you realize your child could enjoy this book for potentially more than five years! Here are some other books from the Travel the World section of the Barefoot Books catalog that are on sale until August 1st. We don't have any of them yet, but based on how much we enjoy We're Riding on a Caravan, I may just be ordering a few of them myself during this sale! "Learn how different cultures around the world set out to live in harmony with the natural world. The seven folk tales are each followed by a hands-on activity that promotes green living and reinforces the eco-messages of the stories." 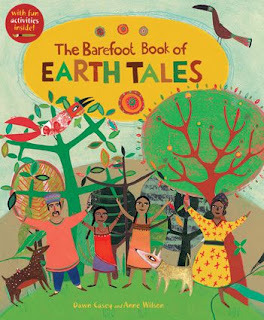 The Barefoot Book of Earth Tales includes stories from Australia, Nigeria, the American Southwest, Bali, Kazakhstan, India, and Wales. It is geared for children between the ages of five and eleven, though I read the stories to my three-year-old daughter and she does enjoy them! We both really like Why the Sky is Far Away, from Nigeria. The message of the story is to only take as much as you need, and no more than that, which is definitely a message I try to get across to my daughter. We also really like She Who is Alone, from the American Southwest, and Amrita's Tree, from India, though I admit that I often have to hold back tears when I read each of these - they both have such young and brave and selfless heroines, which just gets to me every time. On the other hand, The Grumpy Gecko, from Bali, makes me laugh every time the gecko realizes he's going to have to put up with flashing fireflies if he wants to eat mosquitoes. Each story includes an introduction to the region of the world it is from and the message it intends to convey. 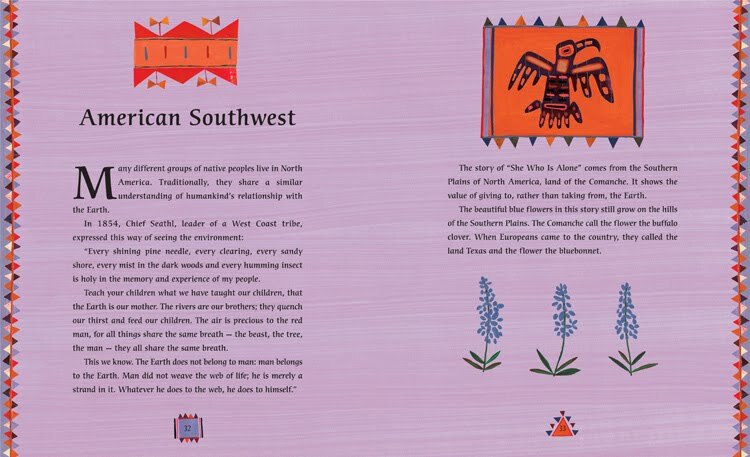 After each story, there is an activity related to the story, such as a recipe for "anything-goes soup" after Why the Sky is Far Away or instructions for making a corn husk doll after She Who is Alone. My daughter is still a little too young for the activities, but I'm sure eventually she will love doing them. The Barefoot Book of Earth Tales is a hardcover book that usually sells for $19.99 but it is available for $15.99 until August 1st during the Summer Sale. 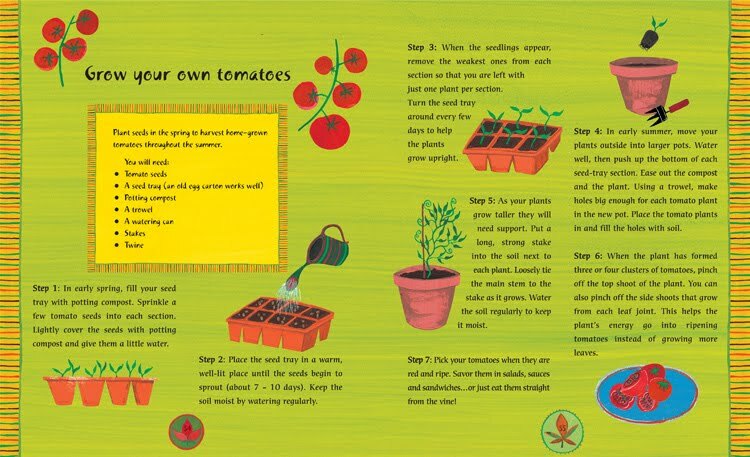 It is part of the Natural Child section of the Barefoot Books catalog - go here to see more Natural Child books and products that are on sale. 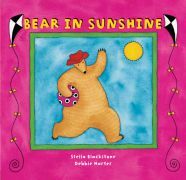 A quick post to announce that Barefoot Books is having a huge summer sale, now through August 1st 2010! There are so many fantastic deals that I can't list them all in one place, so I am going to highlight some of the books that are on sale in several posts over the next several days. Check back often to see if anything strikes your fancy! Use the "add to wishlist" button to create a list of items you'd like to purchase as you read about them, and then make your purchase before August 1st. I can also give you an additional discount code to use either in conjunction with the summer sale or for a separate purchase made before the end of the year. Email me (inventingliz at gmail dot com) if you are interested in even more savings! If you've been thinking about ordering something from Barefoot Books but waiting for the perfect time - the time is now! Free shipping on any order over $35 between now and Sunday, June 27th! No special codes to enter, just place your order and the free shipping will be applied automatically. Please do let me know if you place an order, I love to hear about the books people choose! In honor of Father's Day, here are some titles from Barefoot Books that celebrate fathers! Hardcover version is currently on sale for $15.99 (usually $16.99), and paperback version is $7.99. 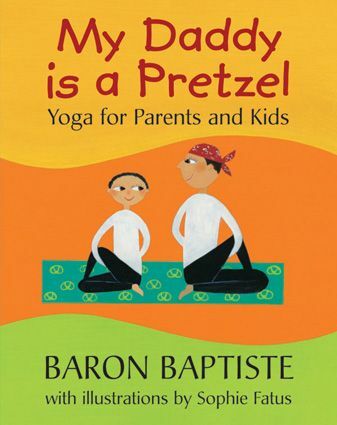 My Daddy is a Pretzel: Twist your way into this story that introduces both yoga and professions. The nine yoga poses show how the practice of yoga relates to everyday life, and encourages readers to stretch both their bodies and their minds. There are tips about practice and preparation, yoga life, and having the right attitude. For all age. Currently available in hardcover for $15.99, usually $16.99. 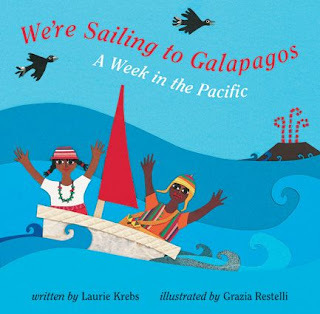 And if you needed an extra incentive to order these (or any other) books, Barefoot Books is offering free shipping on all orders over $35 placed between Wednesday June 23rd and Sunday June 27th! Ethiopia Reads is an organization that I became familiar with while I was waiting to adopt my daughter and trying to learn as much as I could about Ethiopia. To create a reading culture in Ethiopia by connecting children with books. By planting libraries for children, creating culturally appropriate reading materials and training educators to nurture a love of books, Ethiopia Reads brings hope and educational skills to this generation of Ethiopians. They publish books in English and Amharic (one of the main languages of Ethiopia), train teachers and librarians in Ethiopia, create and support free public libraries in schools, and get books to children in remote and rural parts of Ethiopia through "Donkey Libraries." They do fantastic work, and I want to support them any way I can. 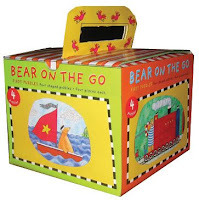 Enter Barefoot Books and their fundraising events! If you go to my Barefoot Books marketplace, scroll down to the Events section, and then click on the Support this Event button in the Ethiopia Reads fundraiser section, I will donate 10% of the retail price of every book purchased there to Ethiopia Reads. I hope you will join me in supporting this fantastic organization! And if you have an organization or cause that you would like to fundraise for, please email me to discuss the possibilities through Barefoot Books (inventingliz at gmail dot com). And today is the last day to save 20% on everything at my on-line Barefoot marketplace! If You're Happy and You Know It is another book with CD that I ordered this weekend during the Barefoot Books sale - check out this animated version of the book to see why I already know I'm going to love it! As the white mother of a brown child, it's especially important to me that my daughter has access to books and art that represent a positive image of people who look like her. 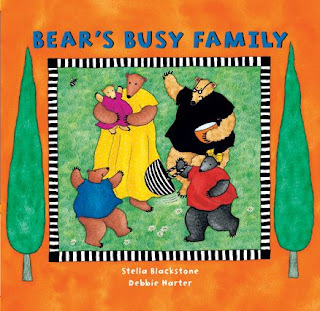 One of the reasons I am really impressed by Barefoot Books in general is that it's so easy to find books with diverse characters, and this book is no exception. I am so excited about the huge sale going on at Barefoot Books this weekend - I've had my eye on a few things and this was the perfect opportunity to stock up on some new books! I will definitely be reviewing all of these books over the next several weeks after my order arrives, so stay tuned for the reports! In the meantime, please do show me what you've ordered this weekend - you have until Monday to get the 20% discount - I would love to hear what you and your children are interested in! when you are checking out in order to receive a 20% discount on your entire order! The coupon code is valid from Thursday May 27th through Monday May 31st, and you can use it as many times as you like throughout the sale period! 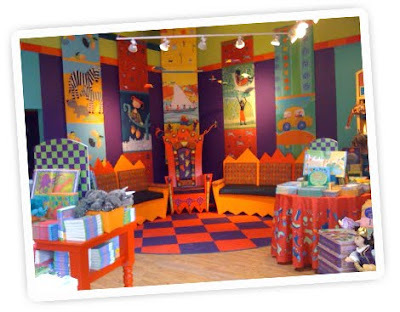 Barefoot Books happens to have offices here in Massachusetts, as well as a flagship store which recently moved. The new flagship store and community center will have its grand opening in Concord, MA, the weekend of June 4th through 6th - storytelling, music, activities, and just general good times for free! A portion of the proceeds from sales over the weekend will go to support the Concord Education Fund. Go here for all the details. If you are in the area and think you might attend, just let me know and maybe we can meet there to enjoy it together! Can I tell you how this book changed my life? My three-year-old daughter loves The Animal Boogie from beginning to end. I love it too because she will shimmy, shake, swing, and sing along to the CD while turning the pages and I can make dinner without being interrupted! There's almost no other activity that will keep her occupied by herself for that long, and I feel lucky to have discovered it. 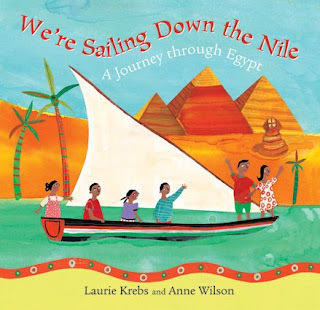 The illustrations are so full of color and detail, and I adore the diversity of the children in the pictures - including one little girl in a wheelchair. I also love that the animals are both boys and girls; I've noticed lately that almost all animals in other books are male unless they are mommies. So far we have only read this at home with my daughter alone, but I think this book and the CD would work wonderfully for a group of children with different kids playing the part of different animals in the book. Loud, but wonderful! Watch a video version of the book with the song to see what I mean. 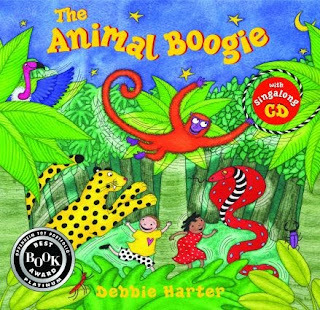 The Animal Boogie was awarded the Oppenheim Toy Portfolio Gold Award in 2001, the Oppenheim Toy Portfolio Platinum Award in 2003, and was a Society of School Librarians International Honor Book in 2001. We have the paperback version with the CD, which is $9.99. There is also a hardcover version with CD available for $16.99, or you can purchase the paperback version without the CD for $6.99 (though I don't know why you wouldn't want the CD - see above about the life changing and everything...). There is also a Spanish version, Cha-cha-cha en la selva. For even more fun, try the Animal Boogie Mini Cube Puzzle - 36 pieces in a sturdy box for $12.99 - or the Animal Boogie Fun Activities paperback - puzzles, games, coloring pages, and sticker activities for $5.99. Right after I read the first two lines of this book for the first time, my three-year-old daughter Elfe piped up with "Where going, bear?" 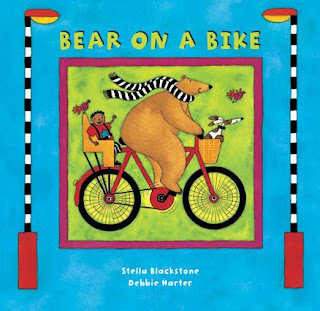 She was riveted for the rest of book and couldn't wait to find out where Bear was going on his bike, his raft, his train, his boat, his carriage, and his rocket ship. Elfe loves this book, and will even "read" it in the car to herself when we are driving; there are so many details in the pictures that she can pick out and talk about even though she can't actually read the words yet, and the story is simple enough that she can remember what each page is about. 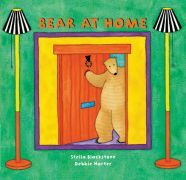 We also read this book at bed time, the ending is perfect for saying good night and my daughter likes to wave back at Bear as he's standing on the moon on the last page. We both love this book and can't wait to read the rest of the Bear series! We have the board book version of Bear on a Bike, and it is also available in a paperback version. Both versions are normally $6.99 but the board book is currently on sale for $5.99! There is also a Spanish language version, Oso en bicicleta, available in paperback for $6.99. Looking for a gift? 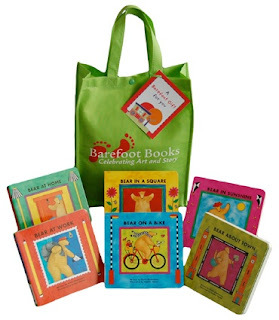 The Barefoot Bear Gift Set would be perfect! 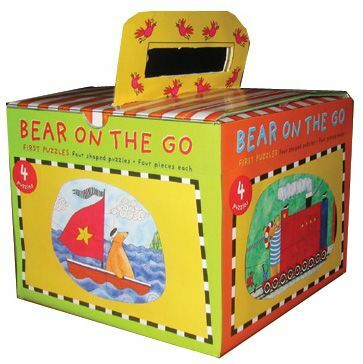 All six Bear books (board book versions), in an eco-friendly re-usable green bag with a gift tag for $40.